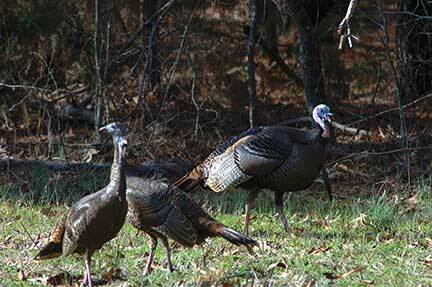 It might not be as catchy, but for success in spring turkey hunting, you might be better served to "Walk and Listen." 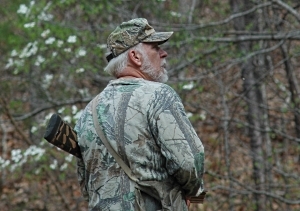 There are basically two types of turkey hunters: those who like to set up in a particular region for the long haul and wait the bird out, and those who like to stay mobile. There are also many experienced turkey hunters who combine both methods as they see fit, which I believe is really the best approach. 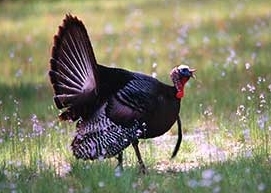 Flexibility is important in any hunting situation, and having the ability to change strategy as the game dictates is particularly critical when chasing an animal as wily as a wild turkey. Unfortunately, the more mobile approach is oftentimes called "run and gun," but for my money, this phrase is a poor analogy and ought to be discarded. "Run and gun" to me implies a frantic pace, a rushing offensive, a surprise attack - when in fact mobile turkey hunting is far from that. 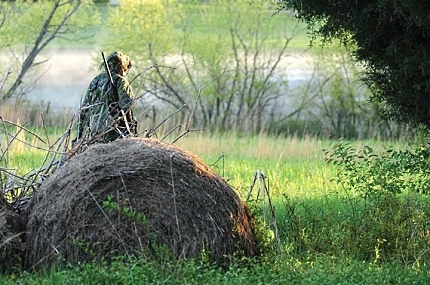 Staying on the move and working to gobblers already on the ground requires as much stealth and woodsmanship as any form of hunting out there, and the proper pace is far from frantic or rushed. The main objective of a mobile strategy is to reduce the distance the bird has to travel to get to you. The distance between you and the gobbler before you begin to call him can be the most critical aspect of turkey hunting, and is, beyond a shadow of a doubt, the thing that makes or breaks you over the long run. 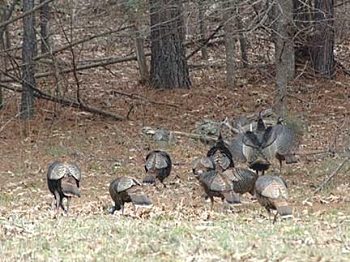 Unless, that is, you know for certain a particular gobbler or group of gobblers is frequenting a certain area regularly, in which case you can set up there and just wait for them to show. Personally, I don't trust turkeys that much. They're too fickle in nature, and I have never had the patience for sitting around for long periods of time anyway. I have all the patience in the world once I get one working, but to just wait for one to show up has never been my cup of tea, so count me in the mobile camp. There are a lot of different opinions on the question of distance when it comes to setting up on turkeys. I've heard some say three hundred yards, others two hundred, others a hundred or less. I'm in the latter camp. What I have found, more often than not, is that the odds of success are dramatically swung in your favor the closer you are to the bird before you start to call, and those odds rapidly swing in the gobbler's favor as the distance between the two of you increases. At two and three hundred yards, I would propose the percentage is between 85 to 95 percent in the turkey's favor. Cut that in half and things start to swing your way. Cut it down even more, and with a little luck he's yours. In order to close the distance on something that has eyes like a hawk and ears like a bat, the last thing in the world you need to do is rush in there, as "run and gun" might imply. I harp on this simply because I have seen new hunters do exactly that many times. One year I was set up on a turkey on public grounds, had been working him for the better part of forty minutes and had him in sight. This turkey and I had been trading blows for nearly a week, off and on, and I finally had him. Then I hear more yelping and cackling and realize that not one, but two hunters were coming in on us. They covered nearly two hundred yards in less than three minutes, squawking the whole time without a pause for breath. The turkey was responding to them, but they were closing like a marching band with no thought to covering their approach or even pausing for one second to really figure out where the turkey was. Shortly I saw the hunters top a rise; these two young guys were camo-laden and yelping up a storm. The turkey folded up and rushed out of there like he'd been shot at and they went right on past me, yelping away until they went out of earshot. They never saw me or the turkey. I'm not even certain they knew that the turkey was there. Perhaps they did, but it wouldn't have mattered much. He was well ahead of them and gone before they had a chance, which in truth they never did. Two days later I killed that bird just fifty yards from that scene, to end my season that year. Don't Talk or Walk Too Much! Sadly, this tragic tale is all too common. I have seen people walking around the woods, shrieking on locator calls and squawking on turkey calls at a pace that would impress a marathoner, with no thought of slowing down or shutting up for a minute, and I can only wonder what it is they must think they are doing. I believe it is because they have taken the phrase "run and gun" too much to heart - a big mistake. If your goal is to find, call and shoot a turkey - an animal that is as aware of its surroundings as you are of the layout of your own living room, and bred to caution and paranoia - then two things to remember are: "Slow your pace" and "Only speak when spoken to!" Otherwise, go to the grocery store right now and buy yourself a turkey, because that's as close as you're going to get to one. The funny thing to me is that, despite what most people think, compared to sneaking up on something like a whitetail deer, or maybe an antelope, closing the distance on a gobbling turkey is a piece of cake. It's not even in the same ball park. It's far easier, for the simple reason that turkeys will let you know where they are if you give them half a chance. If a whitetail went around announcing himself all the time maybe it would be different, but they don't. Gobblers who aren't in the talking mood pose a problem to this method, and this is where the old set-up-and-wait-him-out form of hunting can play a huge role in success, but those gobblers who have something to say will get themselves into trouble in a hurry with someone who understands how to take advantage of it. A turkey that is already down on the ground and gobbling - especially if he's already where he wants to be - is a fairly easy bird to kill. Those that are still in route are only slightly more difficult. 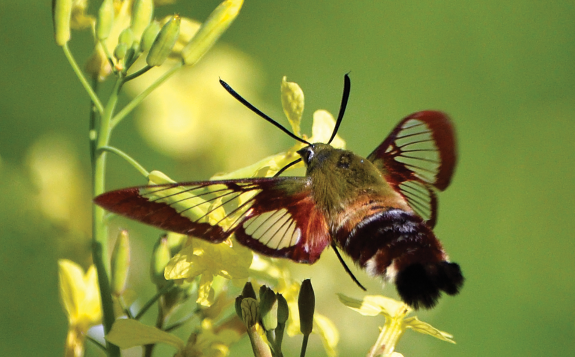 This is where knowing the lay of the land you are hunting plays a tremendous role, in that you should be aware of the most concealed approaches that will get you close to the bird. 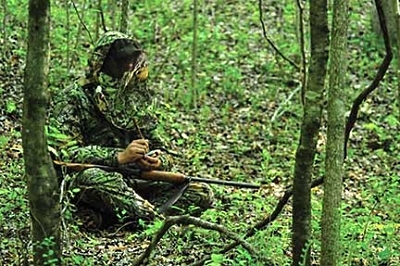 But even if you are hunting unfamiliar territory, just understanding how to use the lay of the land - the elevation and cover - to mask your movements will most likely get you there if you take your time. That is the key element in the "run and gun" method. I know it's hard sometimes to slow down, especially with a gobbler out there blaring away. Your excitement level is off the charts; you've dreamed for months before the season of seeing him come strutting up in all his glory, and you just have a natural impulse with all the excitement of it to hurry to him... don't! This is when you really need to slow things down in your mind and in your body. Not to sound like some mystic guru - which I'm definitely not - but you really have to Zen out. Keep your composure and make every step and motion you take count for something. Go tree to tree, cover line to cover line, sidestep, back track if you have to, in order to stay concealed. But keep your pace slow and easy no matter what. The turkey isn't going anywhere. He lives there, and even if he's on the move, unless he's four or five hundred yards away and you can afford to close distance at a decent pace, just stay with him until he slows down or stops altogether. But don't try to outrun him. As long as the turkey is gobbling, there's absolutely no need to say a word to him unless you are set up and ready to shoot. If you are trying to locate one, the same thing applies. 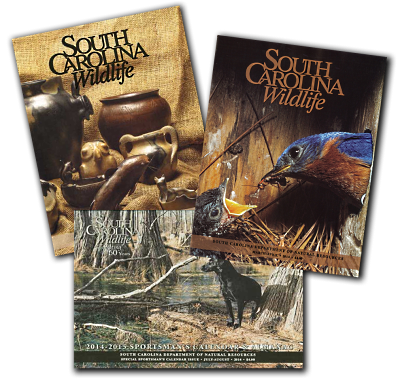 If you have to call, call sporadically at best, either with a locator or turkey call, and then wait! Use your ears more than your mouth always. If there are gobblers out there willing to talk, they will do so on their own and in their own time. 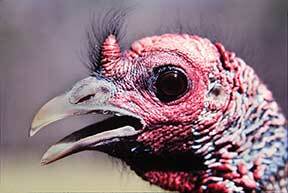 You cannot force a gobbler to respond to you if he's just not in the mood. All you're accomplishing with such effort is announcing to the world where you are. If, on the other hand, the turkey is gobbling and in an area with plenty of cover, and you can use that cover wisely, then he will be in some trouble pretty quick. And even if he's in an open run of ground or timber, if you work towards him at a snail's pace, just gliding along slowly without announcing your arrival by calling to him, you will be pleasantly surprised at how much distance you can close between the two of you. How close is too close? As long as you have the terrain and cover to your advantage and the bird is talking enough to keep tabs on him, the sky is the limit. I have closed on birds to less than fifty yards with the right terrain and cover available. These factors will always dictate the proper distance of setup. No matter at what distance you decide to set up, always wait to call until you are ready for business and not until then. If you are like me and don't have much patience for sitting in one place too long, then learning how to be patient while on the move can really up your turkey game, and all it takes is changing your understanding of "run and gun." Try "slow as you go" instead, and you'll see a big difference in the outcome of your spring gobbler season. A. 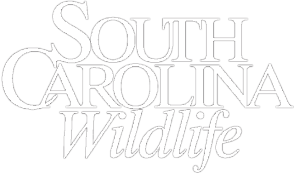 Hunter Smith is an 18th-generation South Carolinian with more than four decades of experience as a hunting guide. An excerpt from his book, A Life Afield, published by USC Press, will appear in an upcoming issue of SCW.